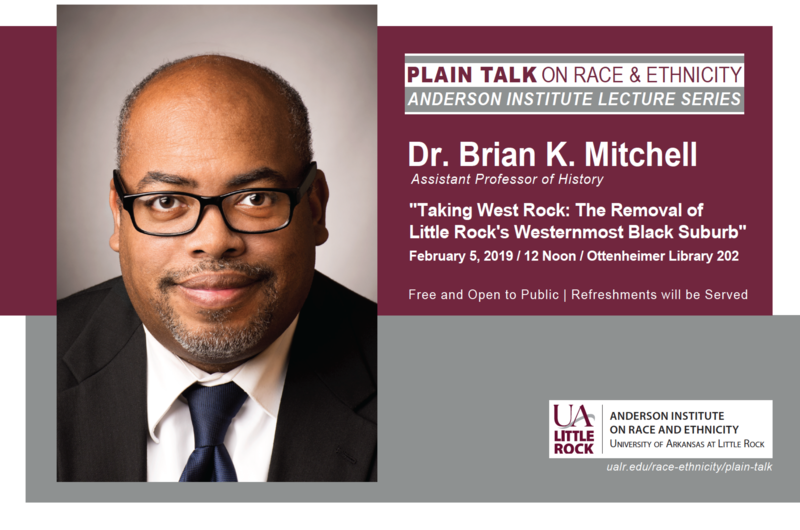 A University of Arkansas at Little Rock professor will discuss how slum clearance was used to remove Little Rock’s westernmost black suburb during the next “Plain Talk on Race and Ethnicity” lecture on Tuesday, Feb. 5. Dr. Brian Mitchell, assistant professor of history, will present the lecture, “Taking West Rock: The Removal of Little Rock’s Westernmost Black Suburb,” at noon in Otteheimer Library Room 202. Founded in 1906, West Rock provided affordable housing and accessibility to an array of domestic, service, and labor jobs for its African-American residents. 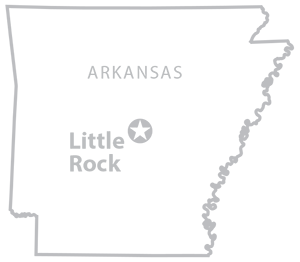 The area is nestled in what is now the Riverdale neighborhood, downhill from Pulaski Heights, one of the city’s most affluent communities. West Rock was a short distance from the Rock Island train station, lumberyards, a country club, warehouses, and Field Farm. Mitchell’s talk examines the lifespan of the community from its development to its removal as a result of the Slum Clearance Referendum of 1950, which allowed the City of Little Rock to accept federal assistance to remove dilapidated urban housing. “The story of West Rock embodies the narrative of race and urban development in America and the role that planning and local government played in maintaining segregated communities,” Mitchell said. The lecture, which is sponsored by the UA Little Rock Anderson Institute on Race and Ethnicity, is free and open to the public. For more information, contact the Anderson Institute at 501-569-8932 or race-ethnicity@ualr.edu.